An amazing record. I realize it gets overshadowed by Con Art, but this is another masterpiece. Would love to see it back in print. 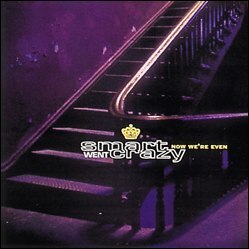 The first full-length album by Smart Went Crazy, released in 1996. This album is out of print on CD and 12" LP. However it is available as a Digital MP3 download.